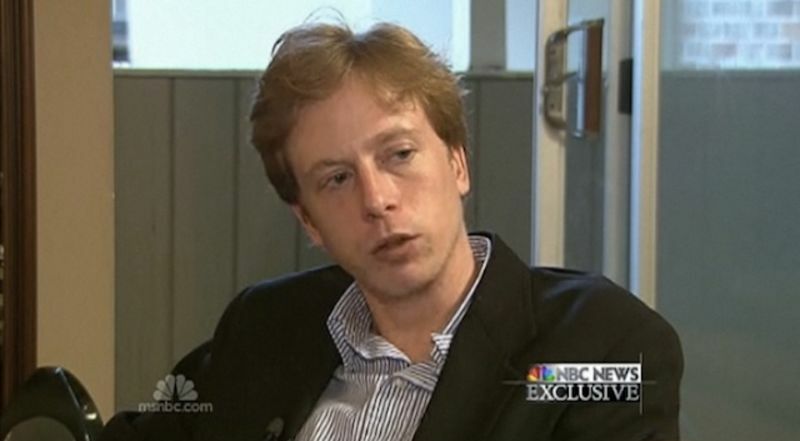 Wired is reporting that the activist/journalist Barrett Brown has signed a plea agreement. They have pieced together that conclusion from a motion to seal the plea they say is on the docket (I admittedly don't see that yet myself) and from the fact that earlier this week the federal government filed a new superseding indictment that lessens the charges pending against Brown. To layer on the irony in this controversial First Amendment-involving case, Wired's Kim Zetter couldn't confirm with Brown's lawyers directly, because the lawyers and Brown himself are under a gag order. When brought together in real life, people who interact mostly online spend a lot of time glancing sideways, trying to recognize each other from blurry Twitter avatars and Instagram photos. About 80 of those people gathered on Monday night at a fundraiser in midtown Manhattan for Barrett Brown and Jeremy Hammond, two imprisoned Anonymous hacktivists, and I felt the gaze long before I got the tweet. "@adrianchen IRL… LOL," tweeted @an0nyc, an Anonymous twitter account with over 20,000 followers the proprietor of which, I assumed, was looking at me at that moment. Is it a crime for someone simply to share a link to stolen information? That seems to be the message conveyed by today's indictment of former Anonymous spokesman Barrett Brown, over a massive hack of the private security firm Stratfor. Brown's in legal trouble for copying and pasting a link from one chat room to another. This is scary to anyone who ever links to anything. Anonymous declared war on the New York Times this week, launching "OpNYT" on Wednesday. Unlike most actions by the crippled hacktivist collective these days, their attack on the Times doesn't just consist of writing boring, unreadable manifestos (though there is a lot of that). 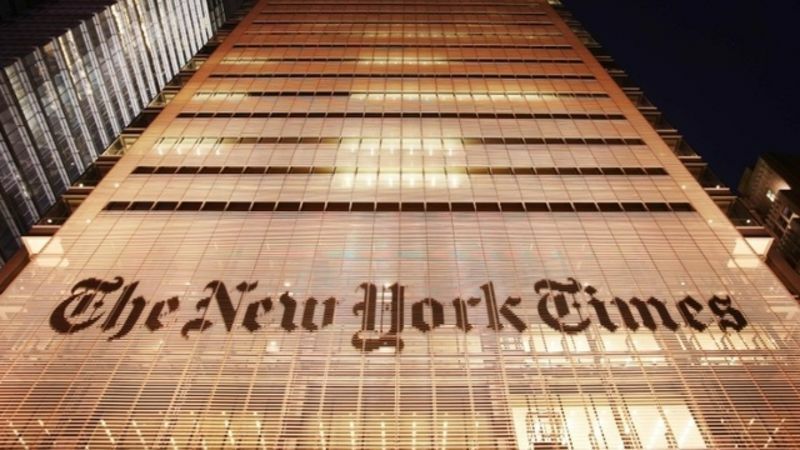 Anonymous has leaked 'secret' correspondences between New York Times reporters and Anonymous members, meant to expose the Times' "incompetence." Unfortunately for Anonymous, the documents reveal the exact opposite. 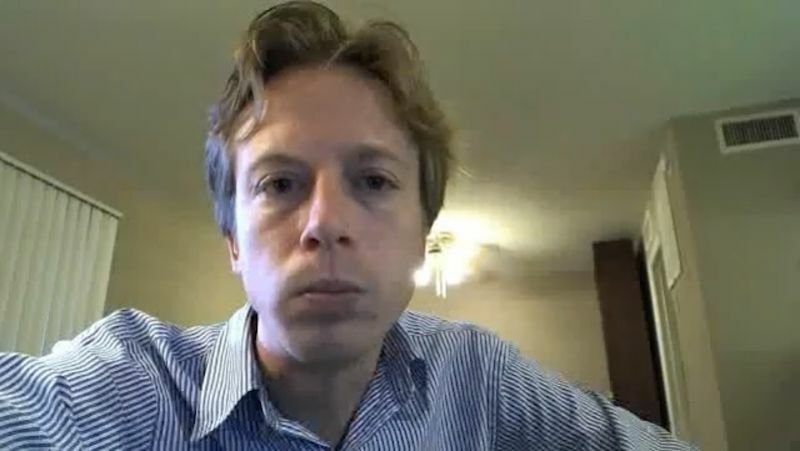 Barrett Brown, bubble bath webcam star and former spokesman for the hacktivist collective Anonymous was raided by the FBI on Wednesday. Authorities took his laptop, but not his relentlessly self-promotional spirit. Many were loathed in 2011; these are the ones we call our own. This is not a list of the world's most loathsome characters. This is (with apologies to the NY Press) a list of Gawker's most loathsome characters. Learn them. Love them. Loathe them. 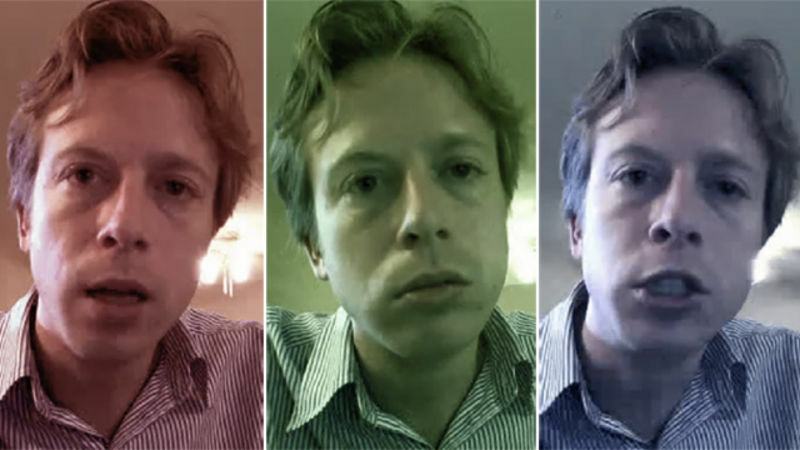 Barrett Brown, the face of Anonymous, made CNN last week with bold taunts of the Mexican drug cartel Los Zetas. Now he's booking it north. Probably a good idea, judging from the gruesome news out of Mexico. 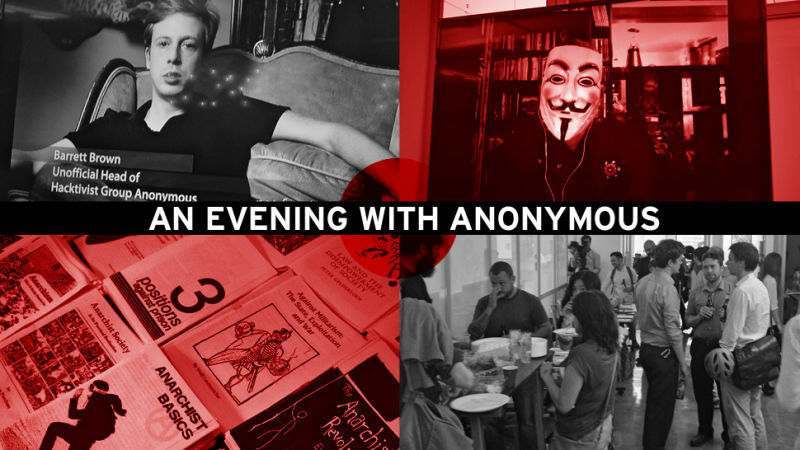 Barrett Brown, the "Face" of Anonymous, has had a busy week, promoting the hacktivist collective's extremely-confusing war against the notorious Zetas drug cartel in every outlet from CNN to Gawker. But a six-figure book deal probably helps with the fatigue. Two prominent Anonymous associates are shopping around a book detailing the exploits of the hacktivist group from the inside, according to the Observer. But will anyone want to read it?